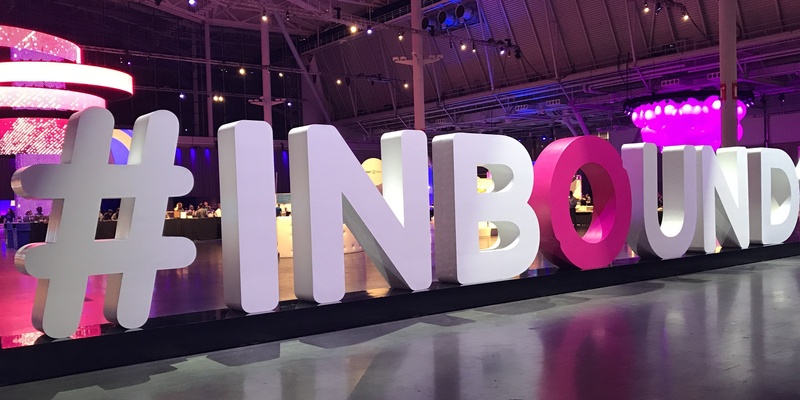 It’s Tuesday, and while many of you are slowly starting your week after a long, holiday weekend, our entire team is in Boston for Hubspot's annual INBOUND conference. This year we’ve got 12 of our team members in town to learn and network with some of the industry’s best. At LeadG2, we put a huge focus on continued education and always staying up to date on the latest news, trends, and best practices that will help us service our clients. We’ve even spoken at this conference quite a few times in the past (including Managing Partner, Matt Sunshine, and General Manager, Dani Buckley). As a HubSpot Platinum Partner, we wouldn’t miss their annual conference, but that’s not the only reason. This conference is much more than just a “marketing conference.” Of course there are plenty of awesome sessions on marketing, and inbound marketing in particular, but there is also a plethora of topics being covered that range from sales enablement and account based marketing to tips for creating proposals that sell and consumer trends. With HubSpot’s launch of their Service Hub earlier this year, we also anticipate some new announcements regarding customer service and plenty of best practices around how to utilize technology to best serve your customers – and create raving fans. Not only are these sessions going to be delivering the latest information and knowledge on timely industry topics, but they are going to be led by some of the most respected industry leaders along with a variety of other exciting keynote speakers. This year, we will hear from Chimamanda Ngozi Adichie, Beth Comstock, Deepak Chopra, Shonda Rhimes, Scott Harrison, Troy Carter, Joanna Coles, Ronan Farrow, Mo Gawdat, Alex Rodriguez, and Anjali Sud, just to name a few. And of course, we can't forget Hubspot Co-Founders, Brian Halligan and Dharmesh Shah, who always provide a wealth of knowledge and exciting product updates (in a very entertaining manner). If you’re attending the conference, we’d love to hear from you! Feel free to tweet us at @leadg2 or drop a comment below. We’ll be sure to report back later this week and with lots of social updates along the way.